At Inland Island, the dedication of our team leads to the highest quality yeast. Our high yeast cell counts contribute to award-winning beers and our transparent processes lend to brewers knowing more about their craft. The hyper-focused attention we maintain in our laboratory is unmatched in the industry and we are adamant about employing experts who will grow in their own career and also help our company flourish. Inland Island Yeast Laboratories is a company obsessed with quality. Whether it's a two barrel or a 100 barrel pitch, the attention, care, and efficiency exacted to the batch is the same. The driving force behind the company’s pursuits is founder John Giarratano. Through nearly a decade of higher education and professional experience, John has gained a masterful understanding of industrial yeast manufacturing and pharmaceutical-grade bioengineering. But the mission of Inland Island, formed in John’s basement in 2014, has always centered around using scientific expertise to make something more exciting than biofuels or pharmaceuticals — beer. Now the company has evolved to a fully licensed food-grade manufacturing operation where the Inland Island team helps breweries win awards. Since its inception, Inland Island has been brewer-focused, whether it was putting the time in on each individual pitch or John making the rounds and delivering the product himself. Inland Island was built one partnership — and one pitch — at a time. 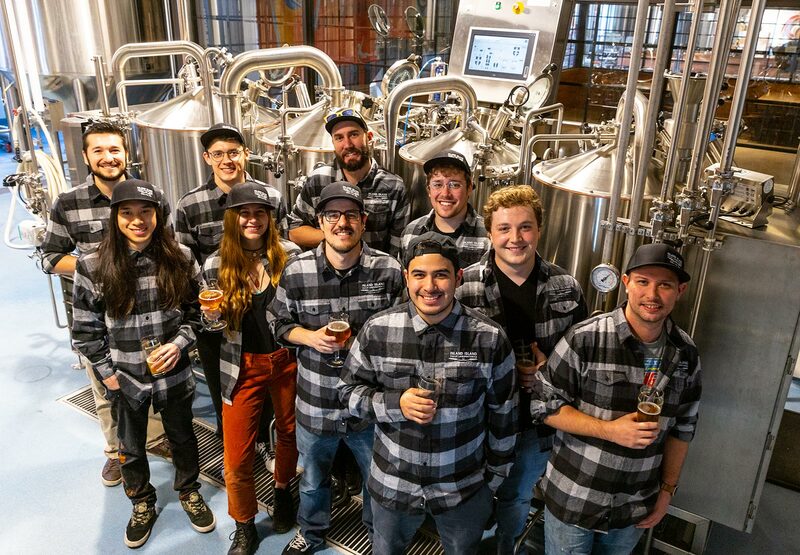 John and his employees believe in brewing as a precise craft, but they also know the brewer and supplier connection is an essential step to making the best beers on the market. It's about strong relationships with like-minded people and producing the best fermentation products in the brewing industry, period.